Columbia Bank announced the official launch of its fourth annual Warm Hearts Winter Drive to benefit families and individuals struggling with homelessness in the Pacific Northwest. This season, Columbia plans to raise $250,000 and more than 10,000 items of warm winter wear to support more than 50 local homeless shelters and aid organizations throughout Washington, Oregon and Idaho. Columbia is donating $200,000 in one-time grants to support Warm Homes. Employees at all of Columbia Bank’s 150 branches are actively engaged in securing cash donations and new warm clothing from clients and community members. 100 percent of the clothing and funds collected during the Warm Hearts Winter Drive are donated directly to shelters and relief organizations in the communities where the collections originated. Among the list of over 60 benefiting organizations are the Portland Rescue Mission, Mary’s Place, Tacoma Rescue Mission, Eugene Mission and Bonner Homeless Transition in Idaho. The Warm Hearts Winter Drive accepts cash donations in addition to new winter apparel. 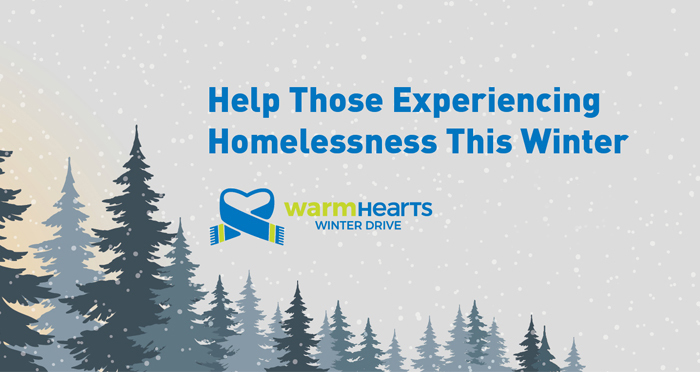 Donations can be submitted online at WarmHeartsWinterDrive.com, and both cash and new warm winter attire can be donated at every Columbia Bank branch across the Northwest. For more information on the list of benefiting organizations in each county, or to make a cash donation, please visit WarmHeartsWinterDrive.com. Those interested in supporting the Warm Hearts campaign may contact 1-877-272-3678 for more information. Headquartered in Tacoma, Washington, Columbia Banking System, Inc. is the holding company of Columbia Bank, a Washington state-chartered full-service commercial bank with locations throughout Washington, Oregon and Idaho. For the 12th consecutive year, the bank was named in 2018 as one of Puget Sound Business Journal’s “Washington’s Best Workplaces.” Columbia ranked 11th on the 2018 Forbes list of best banks. More information about Columbia can be found on its website at www.columbiabank.com.